BCS, The Chartered Institute for IT, is committed to making IT good for society. We use the power of our network to bring about positive, tangible change. After the success of the 2017 programme card where 6 talks were delivered, we are pleased to announce the commencement of the 2018 series. The talks continue the theme of “of now” technology subject matters and try to de-mystify some of these subjects and provide for objective commentary. 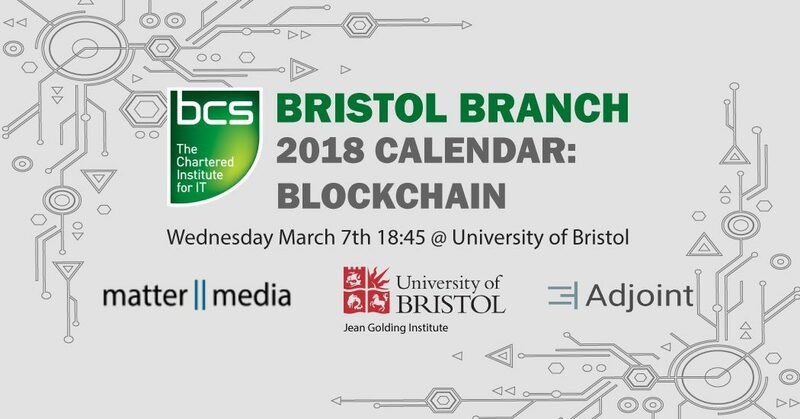 The focus of this Talk will be on Blockchain and will take place on Wednesday 7th March at the Peel & Hepple Lecture Theatres, School of Geographical Sciences, University of Bristol, BS8 1SS. This talk will be delivered by two representatives with varied experiences. Dr Tim Kindberg is founder of digital technology company matter II media. Somil Goyal is an experienced financial services executive and COO of Adjoint, a distributed ledger and smart contract company selected as 2018 100 Most Influential Fintechs. Their brief biographies can be found below. Tim will debate digital currency such as Bitcoin and other blockchain-based systems such as Ethereum and will explain why he is sceptical about the technologies that underlie them and look at what needs to be done. Whilst Somil will discuss distributed ledger technology how it extends the traditional databse model, using smart contracts within finance as his example. The session will start with registration at 6.45pm, talks starting at 7.15pm, followed by an hour of talks from our panel, followed by Q&A, with networking and drinks to finish by c.9pm. The event is free of charge, but will require registration to ensure there are no capacity restrictions. The BCS talks are scheduled to be held in various locations throughout Bristol, where the majority of members are located. The talks aim to appeal to both existing and new members, young and old, and broadly technical and non-technical. The content of future topics are being investigated based on feedback form previous events. 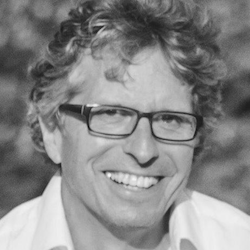 Dr. Tim Kindberg is a computer scientist and founder of digital technology company matter II media whose products include social video platforms Vorb and Nth Screen. He is based in Bristol’s Pervasive Media Studio. He is co-author of the textbook Distributed Systems – Concepts and Design and has been visiting professor at the University of Bath and ITU Copenhagen. He has many years of experience of industrial R&D in distributed, mobile and pervasive computing, and was a senior researcher at HP Labs in Palo Alto and Bristol for ten years. Somil Goyal is an experienced financial services executive. He is COO of Adjoint, a distributed ledger and smart contract company selected as 2018 100 Most Influential Fintechs. 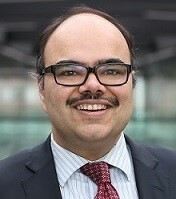 He has worked for Deutsche Bank across asset classes and geographies, as well as in consulting at EY and Deloitte.